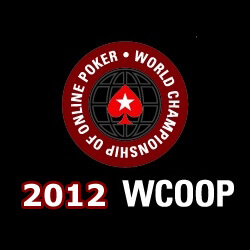 PokerStars released the full schedule for the upcoming 2012 World Championship of Online Poker (WCOOP) a few days ago and the schedule looks very similar to last year’s schedule. There will be a total of 61 poker tournaments again at the 2012 WCOOP, which begins on September 2nd 2012 and culminates with the highly anticipated $5200 WCOOP Main Event on September 23rd. 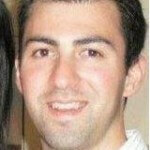 The 22-day poker event is the biggest online poker series and easily the most anticipated. Last year the main event had 1600+ players participate and the eventual winner (Thomas Pederson) walked away with a 1st place payout of $1,260,018.50. This year the main event is going to have a prize pool of at least $1M guaranteed to the winner, which is a massive payday. Nearly $50M ($47,120,800) was awarded to players during last year’s PokerStars WCOOP and I wouldn’t be surprised if we see the total prize pool surpasses $50M this year. The buy-ins range from $109 – $10,300 at the 2012 WCOOP and that means many players with small bankrolls will be left out of the action unless you start trying to qualify to the major events now at PokerStars. The entire schedule has been released on the PokerStars Blog where you can view it. You’ll notice that none of the events have a guaranteed prize pool listed yet, but that’s because PokerStars are still crunching the numbers. Once the GTD prize pools are finalized they’ll be updated on the blog post. If you prefer playing live poker tournaments over online you should head to Asia for the fall. With the 2012 WSOP wrapped up in Las Vegas now lots of players will be heading to Asia. The Asia Championship of Poker starts at the end October and there will be a huge $10,000,000HKD Main Event during the inaugural event. Before the ACOP there is another stop on the Asian tour. From Sept 7th – Sept 16th 2012 the Macau Poker Cup Championship will be played and the main event will boast a $5,000,000HKD guaranteed prize pool. Despite the WSOP being over there is still a lot of live and online action coming up in the next couple months.